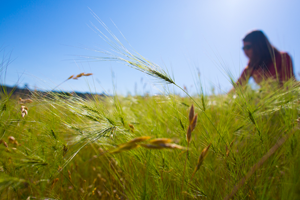 Join the fight to reduce noxious weeds on rangelands and get the latest management tools at the final Knocking Out Noxious Weeds Workshop set for February 20th at the Radisson Hotel in Santa Maria! 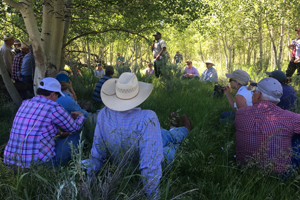 The workshops is designed for ranchers and land managers, featuring a dynamic list of speakers covering a range of land management topics associated with invasive species. For complete agenda and to register please visit the workshop website.The course has been approved for 4.0 CEU for DPR; CEU for SRM is pending. Predators and grazing livestock rely upon rangeland habitats throughout California, and so livestock-predator conflicts are perhaps inevitable. 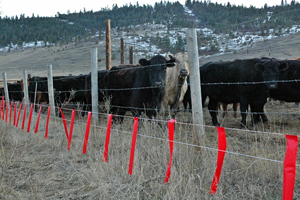 UC Rangelands has recently launched a new “Livestock- Predator Hub” that brings together research-based information and resources for rangeland livestock producers and wildlife managers on mitigating and managing potential conflicts. Visit the Livestock-Predator Hub HERE. The need for scientists — and ecologists, in particular — to engage with the public is well known. 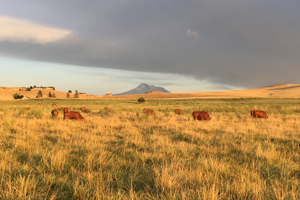 UC Rangelands’ Leslie Roche co-authored an article addressing how the U.S. land-grant mission and the Cooperative Extension system have initiated, developed, and implemented models of public engagement for the past 100 years. Cooperative Extension engages through trusted and established relationships, and collaboration and co-development of projects with the public. ATTENTION RANCHERS who are regulated under the Central Valley Irrigated Lands Waiver Program. UC Rangelands has created a tool to assist you with completion of your Nitrogen Management Plan (NMP). Nitrogen dynamics within irrigated pasture are unique compared to other harvested crops regulated under the program. The pasture N app is based on research conducted within California, in collaboration with scientists at University of California, Davis, Water Board staff and irrigated pasture managers to ensure accuracy and functionality for the expected purpose. Complete your NMP today with assistance from the app by clicking here. Please check with your local Coalition regarding the need to have your plan certified, or need to submit data regarding nitrogen use on your farm to be in compliance with the program.